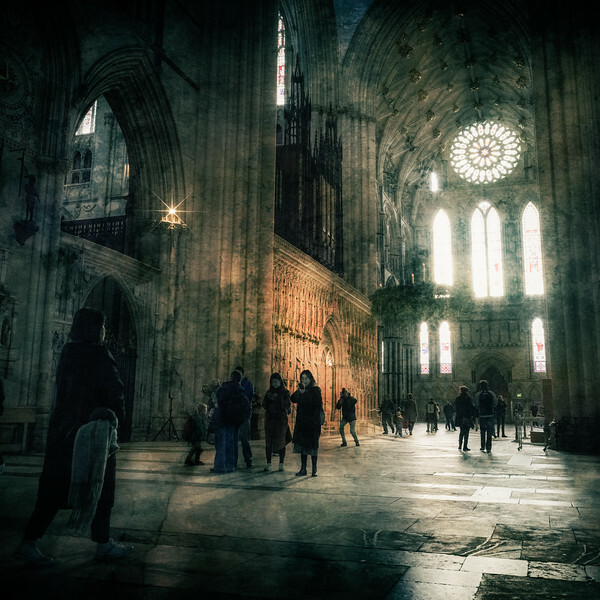 A textured image of visitors in the transept, York Minster, Yorkshire. 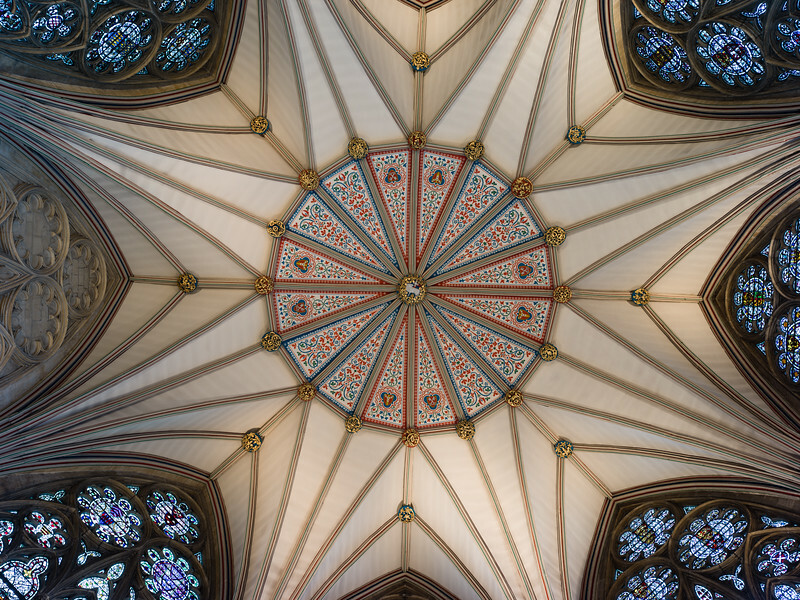 Looking straight up at the ornate Chapter House ceiling, York Minster, City of York, Yorkshire. 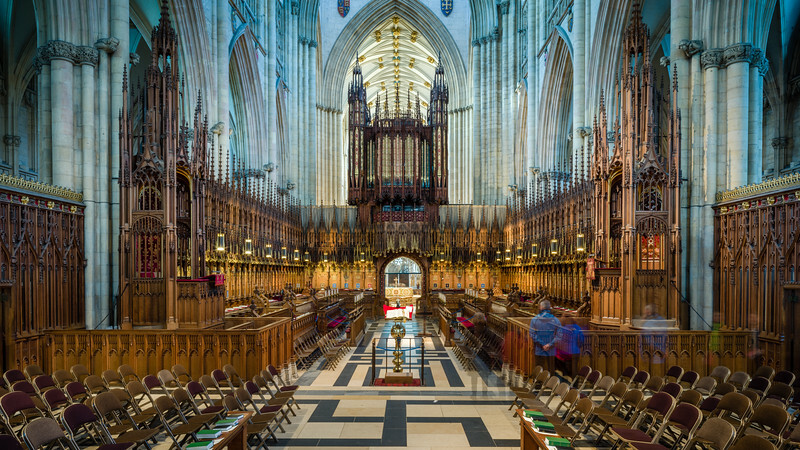 The intricately carved wooden choir stalls and the organ, York Minster, City of York, Yorkshire. 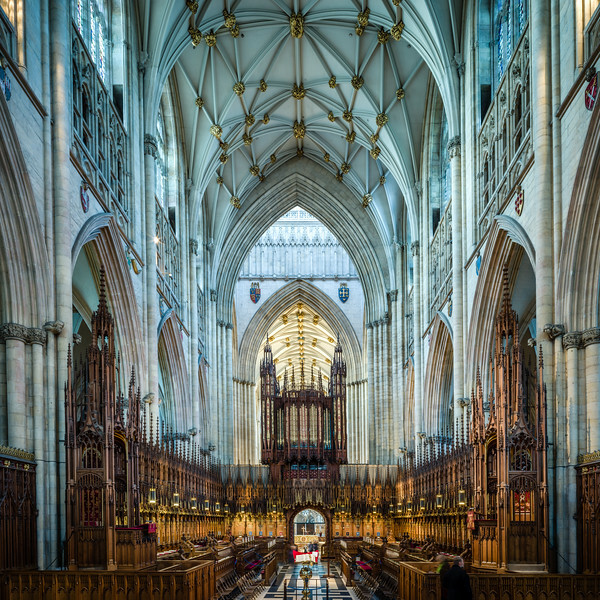 The choir stalls, organ, and roof, York Minster, City of York, Yorkshire. 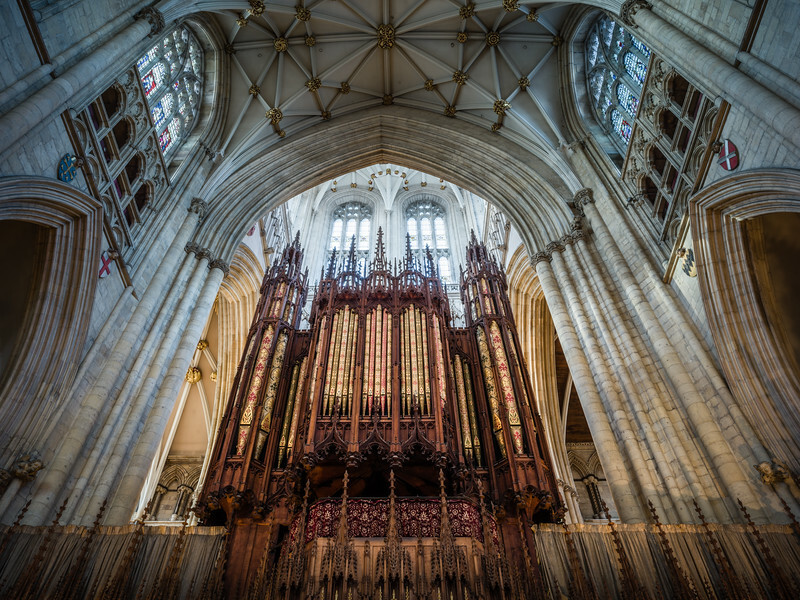 Intricately carve woodwork and decorated organ pipes, York Minster, City of York, Yorkshire. 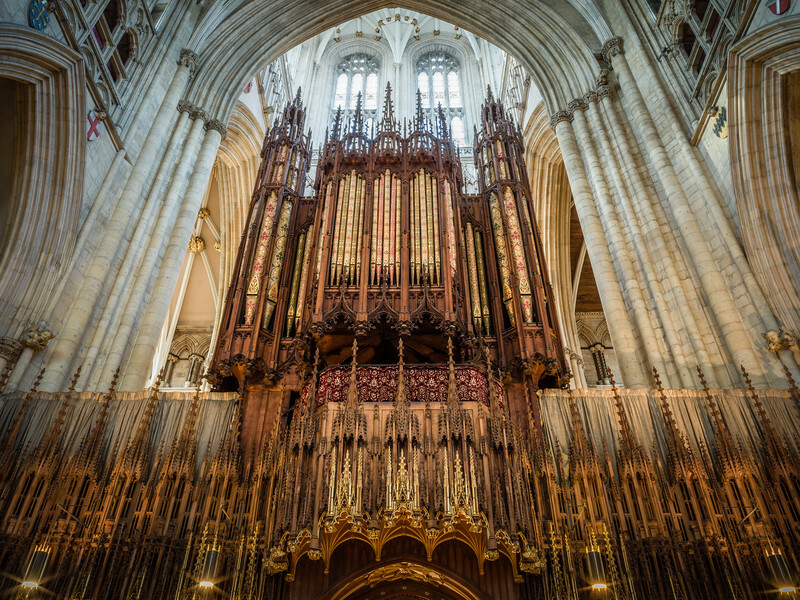 The Organ, Arch and Tower. Wider view of the organ, the surrounding gothic arch, and the Tower. 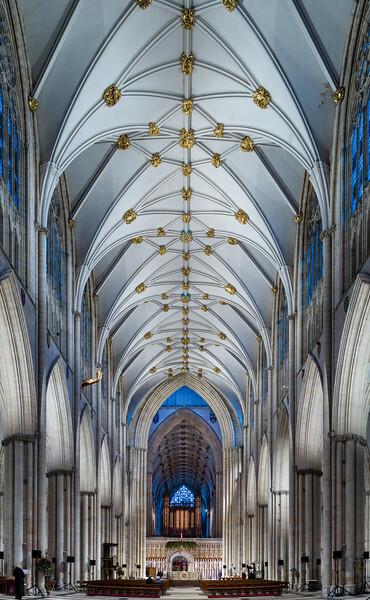 York Minster, City of York, Yorkshire. Central Boss, Chapter House Ceiling. 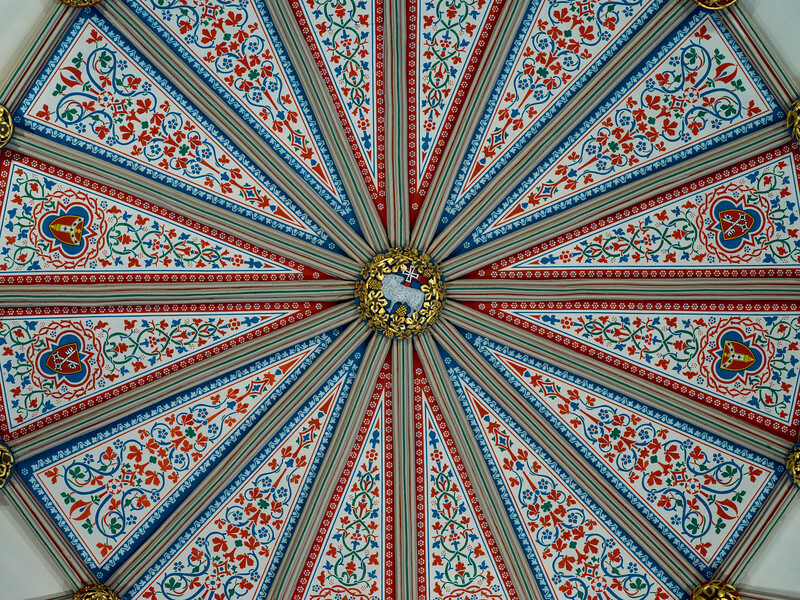 Detailed view of the central boss and painted ceiling of the Chapter House, York Minster, City of York, Yorkshire. 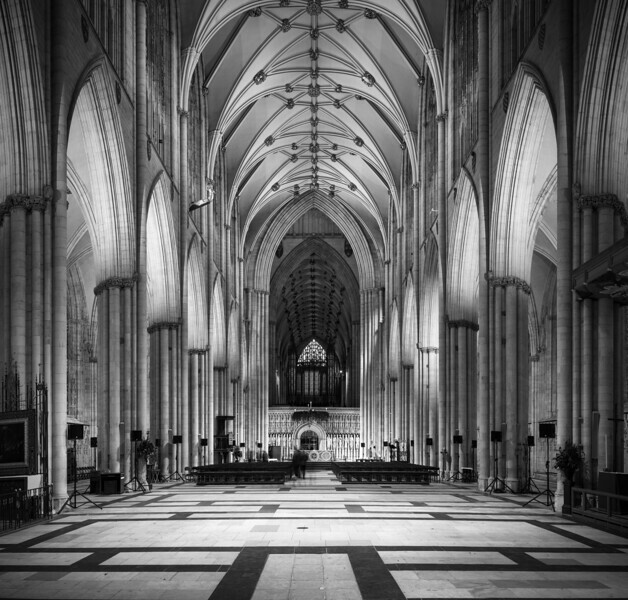 The view under floodlights looking along the Nave, York Minster, City of York, Yorkshire.